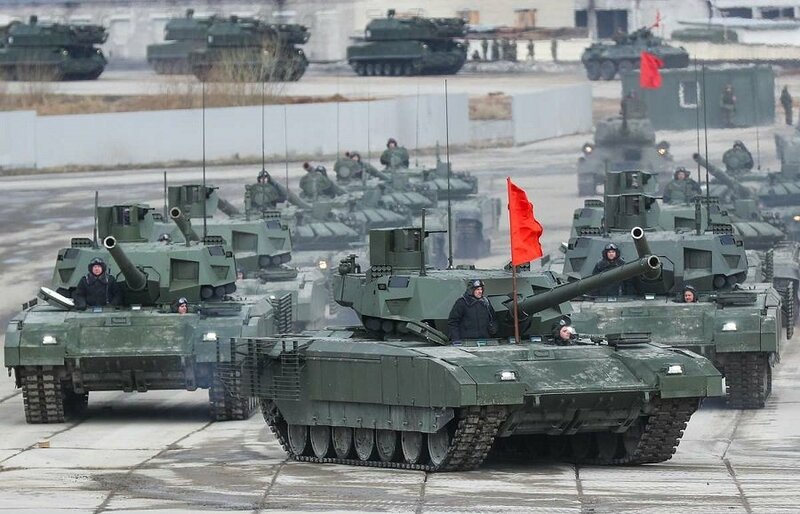 MOSCOW, the Russian Federation, (BulgarianMilitary.com) – Today, the press office of the Russian industrial design bureau TsNIItochmash reported that some of its specialists were currently working on the development of a new advanced protective system that would feature capabilities to shield the armor from smart precision-guided weapons, learned BulgarianMilitary.com. The advanced system involves optoelectronic jamming technology using aerosol munitions that disrupt an attacking missile’s control and equipment that registers a shot and the fire sector. Compared to its analogues, the optoelectronic interference that the system’s munition generates is in an expanded wavelength band. More specific, when the protective system detects attack, taking into account the wind, it launches aerosol munitions in the required direction. Then, a block of cartridges with the aerosol filling is fired by the munition. The press office of the developer further explains that the protection of the armored vehicle is provided when, during the flight, the cartridges sequentially come into action and form an aerosol cloud of interferences in the visible, infrared and radio-frequency wavelength bands. The high efficiency of the aerosol munitions has been proved by the conducted by TsNIItochmash preliminary trials. The anti-tank missile systems are assigned to the most effective precision weapons used to strike the armor. The guidance options of the missiles of these systems are various, for example, they can fly to the target under the control system’s commands as long as the target is illuminated by a laser beam, or can feature an infrared homing head. Another option is that the system’s operator through a radio channel can directly control their flight. The target could be missed due to loss of the target’s laser illumination, disruption of radio command communications with the missile or blinding of the missile in the infrared range.